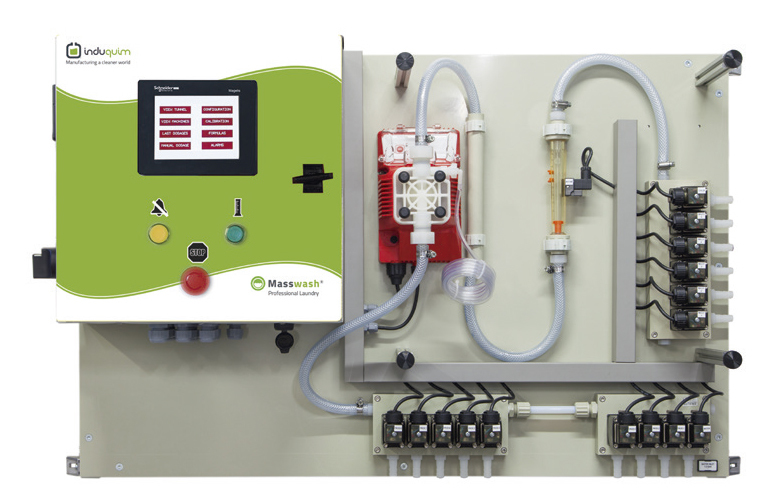 Pneumatic tunnel equipment with five channels designed to dose chemical products into a tunnel in a wide range of laundries within the industrial market. Apt to group together different sets of products in a collector per channel with just one assigned destination module. 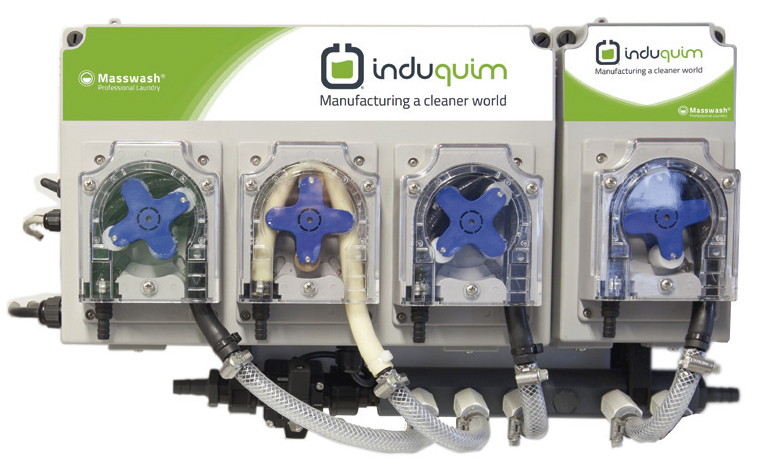 One channel pneumatic equipment to dose chemical products into multiple washing machines in a wide range of laundries within the industrial and OPL market. Considerably reduces dosage time so that the system can administer greater capacity machines. The electromagnetic pump equipment is designed to dose chemical products into multiple washing machines in a wide range laundries within the industrial and OPL market. 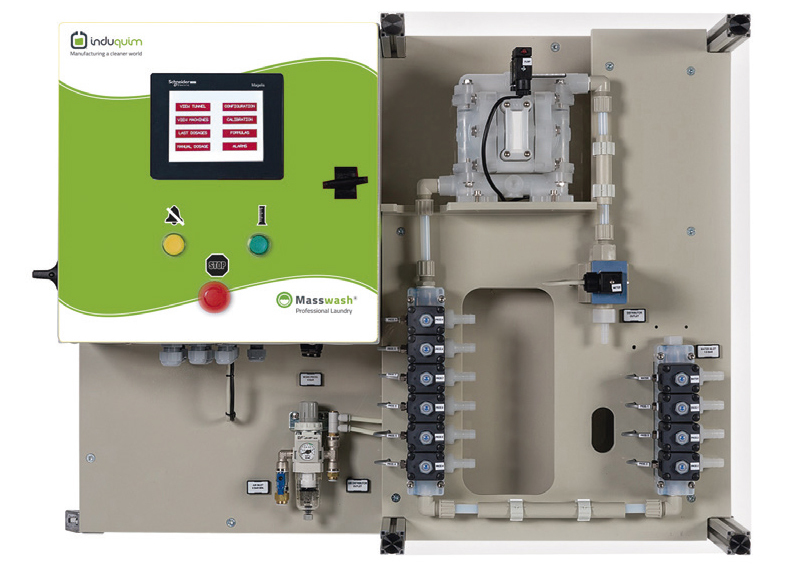 Having an electromagnetic pump means that maintenance is more economical as pipes do not have to be changed. Peristaltic equipment with 3 to 7 pumps designed to dose chemical products into multiple washing machines in a wide range of OPL laundries. 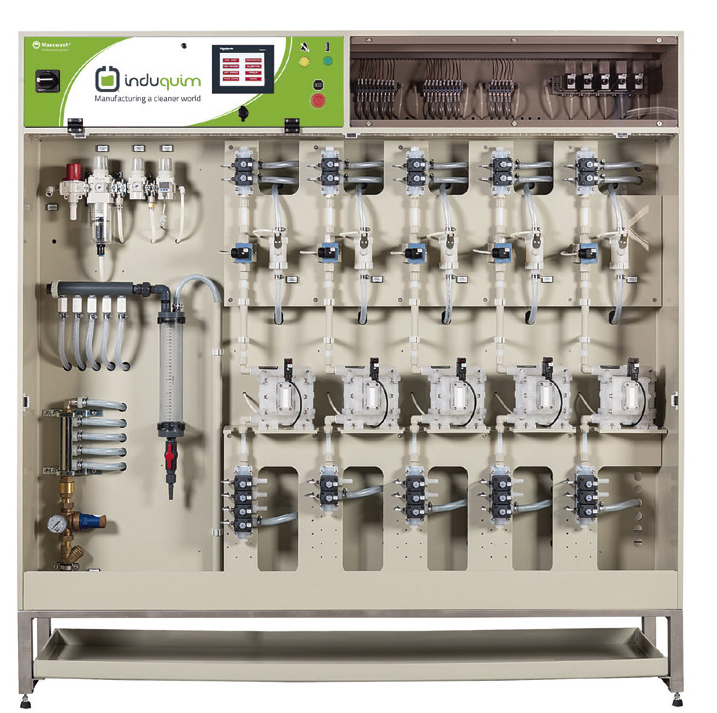 Each product is dosed without backpressure in the collector.